Recently, when discussing the current theme of the U.S.S. Discovery, I remembered some very own activities in the Star Trek universe. In the early years of this century, I was active in an online RPG in the very ST universe taking place on the U.S.S. Caradhras (a tiny little pointer to my other hobby that day: The Lord of the Rings). Back then I composed a tiny theme for this “series”, which obviously is in the style of the classic series like Voyager or Deep Space Nine. Just for fun, of course. We also planned for a follow-up role play on a ship called U.S.S. Rosen, which would enable a brand new drive based on Einstein-Rosen-Bridge technology (Ha!). 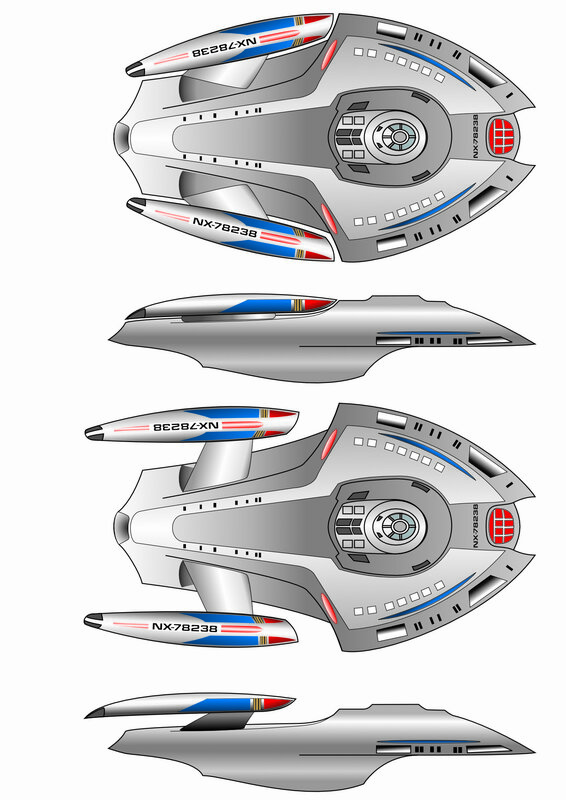 For this, I did some sketches of a new type of ship with collapsible nacelles. Just found this on my hard drive.